Tuesday, March 27, 6 – 8:30 p.m. Course 3: Search Engine Optimization (SEO) (4 sessions). This can be taken as part of the [Digital Marketing Certificate] (/corporate-services/open-enrollment-programs/digital-marketing-certificate) or it can be taken as a stand-alone course. 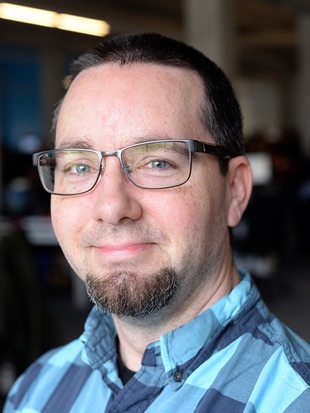 Chris Countey is a Technical SEO Strategy Manager for Publicis Health Media in Philadelphia. He has over 12 years of SEO experience, as well as experience in Google AdWords, Google Analytics, and web design and programming. He is certified in Google AdWords, Google Analytics, HubSpot, Google AMP, Conductor and has provided course training material for tools such as SEMRush. He provides and communicates SEO strategies for some of the world’s largest consumer and pharmaceutical companies and continues to demonstrate how SEO can work holistically with other marketing channels. He believes that communication is at the heart of a successful digital marketing campaign. Chris has written for several well-known industry blogs and has appeared at conferences and on video to help educate and spark new ideas on SEO. He also tests theories and blogs about search at ChrisCountey.com.